One size does not fit all, and that is true even when it comes to data clients. 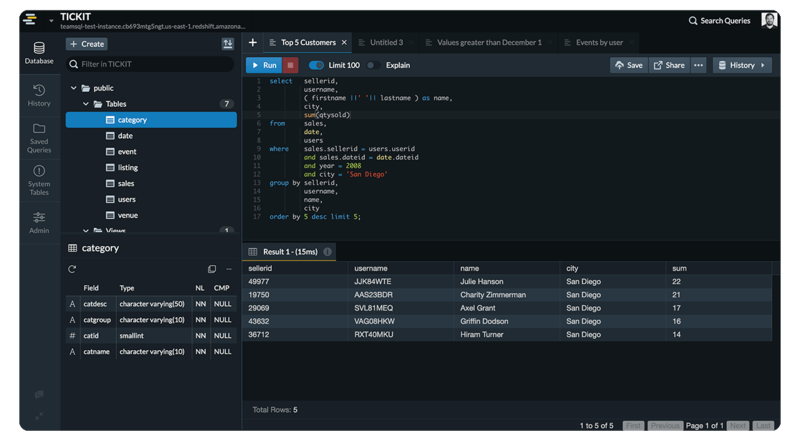 TeamSQL ships with a robust feature set, but if you find that it is missing something you find essential, take advantage of TeamSQL's extensibility by installing an extension. You can find the options available to you in the Extensions Store, or you can use one of the TeamSQL SDK's to help you build your own. The TeamSQL Extension Store features extensions that you can download and install for use with your instance of TeamSQL. Some have been authored by the TeamSQL developers; others have been developed by the community at large. Have a contribution you'd like to make? You can upload your extension to the store for distribution to others! TeamSQL offers several SDKs designed to help you get started with coding your own extensions. Snippets: Snippets extensions are those that can modify the pre-written scripts users can use to minimize the amount of typing they do to write a query. Theme: Theme extensions are those that allow you to adjust the overall appearance of your TeamSQL instance. This tutorial will show how to create an extension that allows you to created signed S3 URLs by providing your AWS Access and Secret Keys just once.